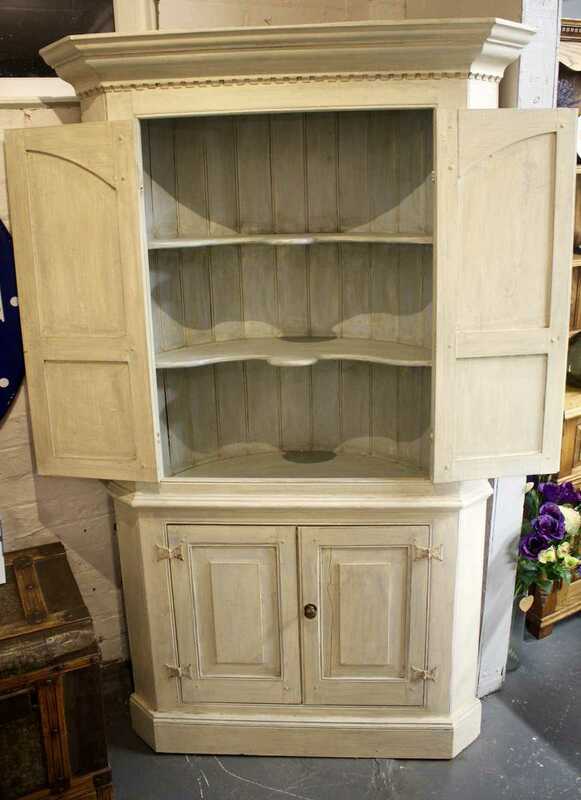 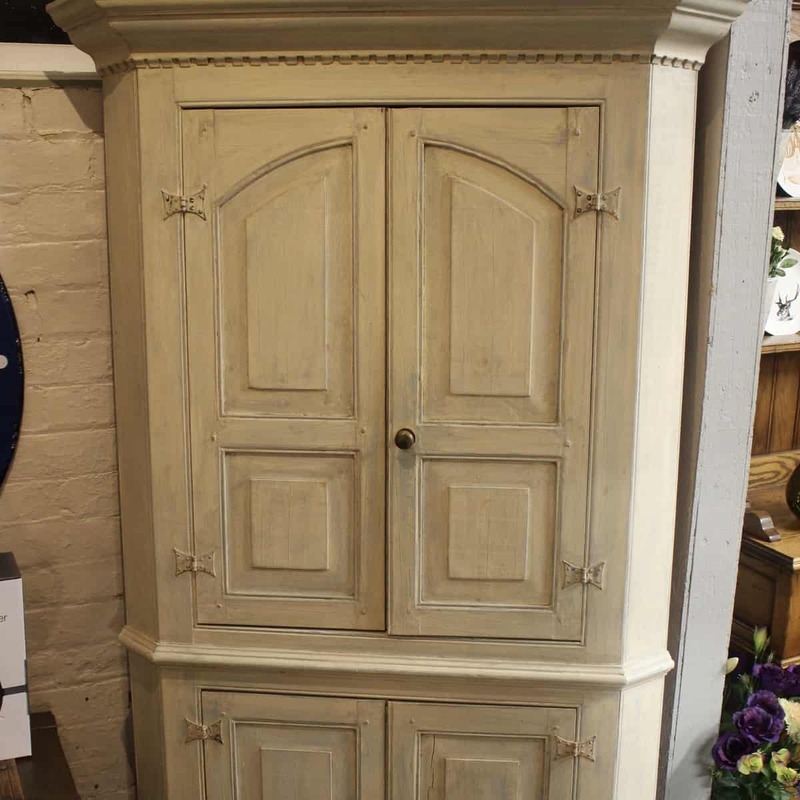 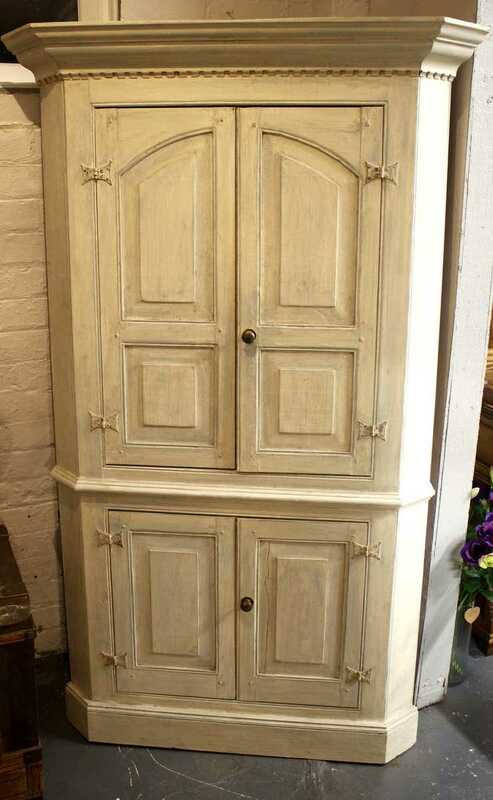 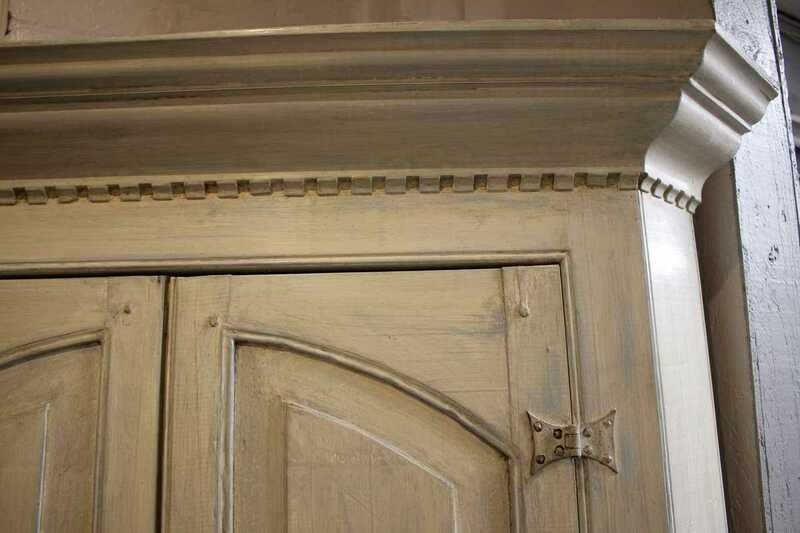 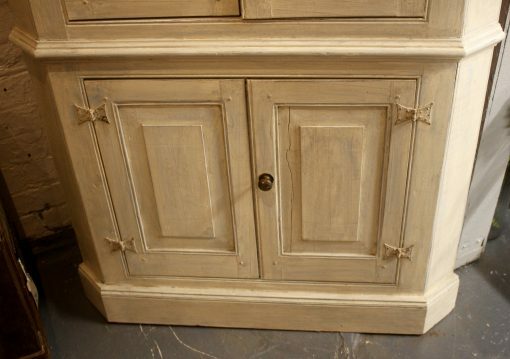 A Lovely old painted pine corner cabinet or cupboard. 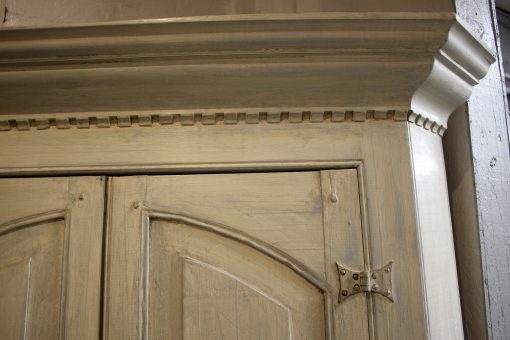 An attractive stepped dentil cornice above paneled doors enclosing attractively shaped shelves. 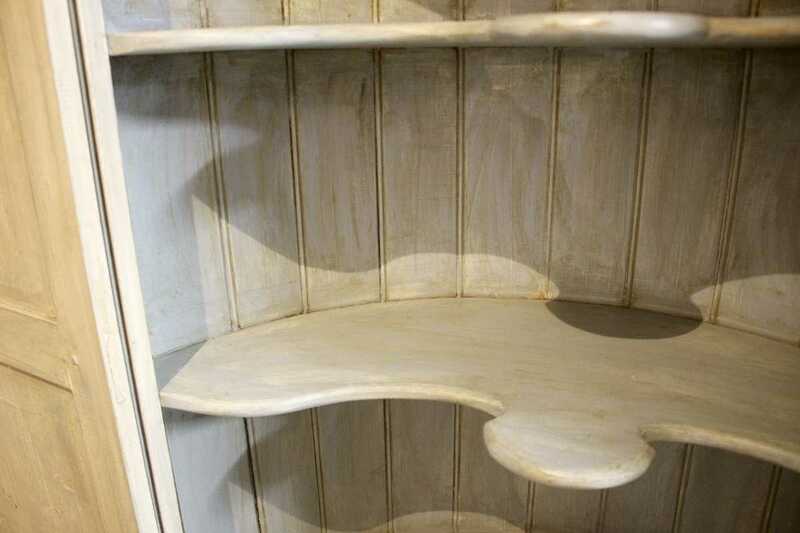 Further cupboard below with shelf, doors with brass knobs and painted bracket hinges. 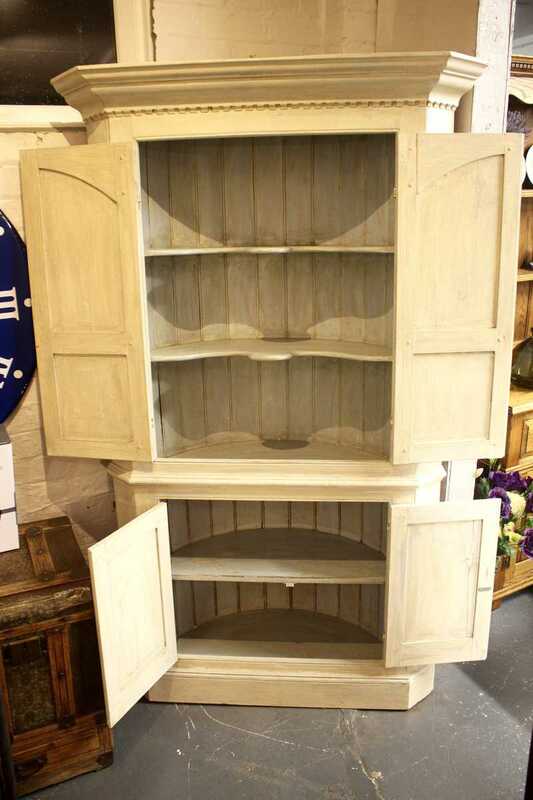 Nicely finished in a distressed cream or off-white. A good-looking, functional piece of furniture to feel those often awkward corner spaces. 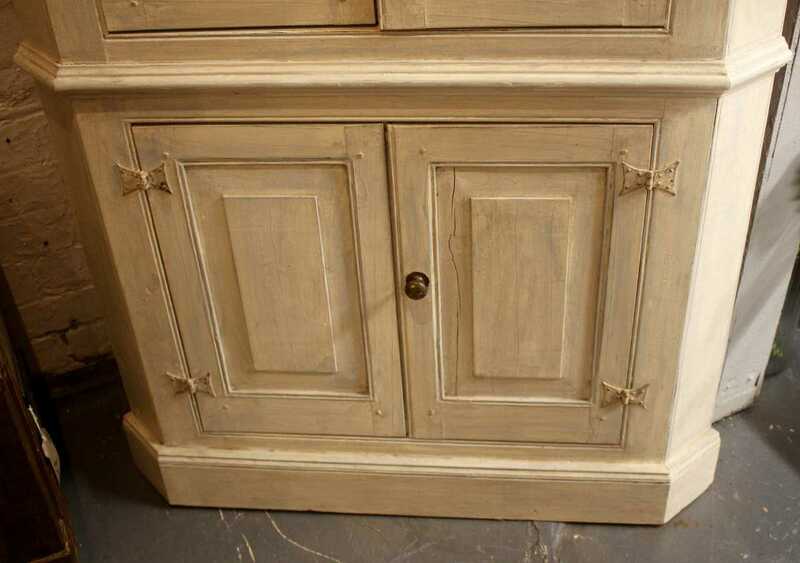 Dimensions:190cm H x 114cm W x 45cm D.